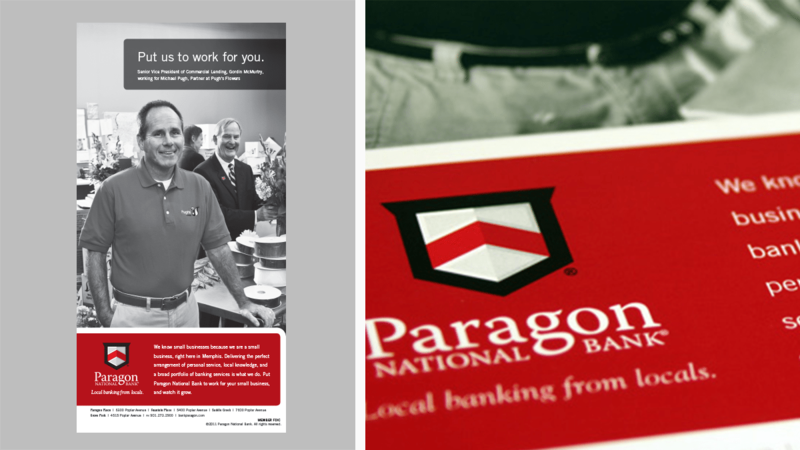 Our support of Paragon, a Memphis retail and commercial bank, began before its launch in 2005. 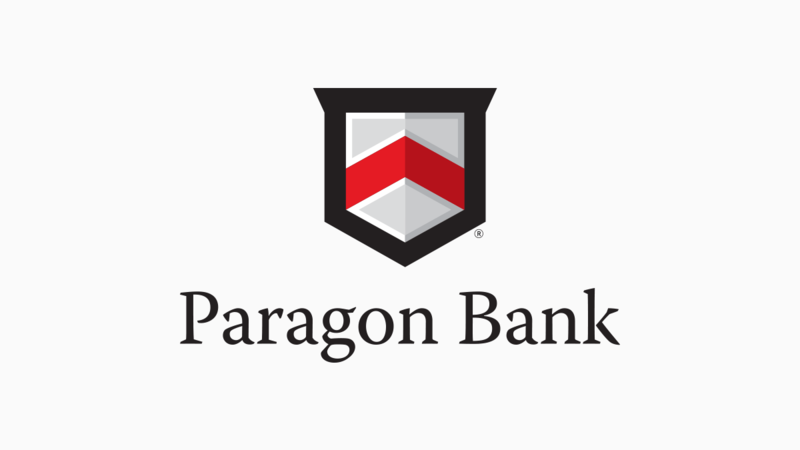 Though they had a logo and a commitment to 100% local service, Paragon Bank was an unknown in the market. Since then, inferno has helped position them as a reliable alternative to larger national banks. 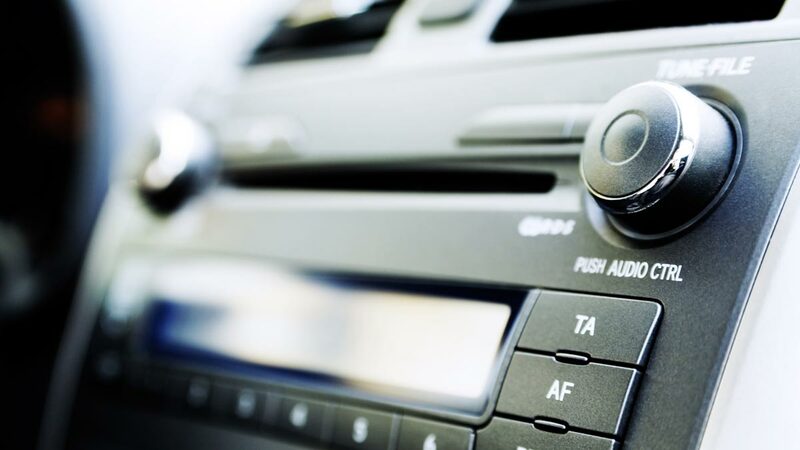 Our team has provided print and radio campaigns, transit signage, print collateral, public relations support, and a number of customer retention tactics. And we’ve enjoyed seeing Paragon grow, as they’ve exceeded forecasts and opened numerous new branches. 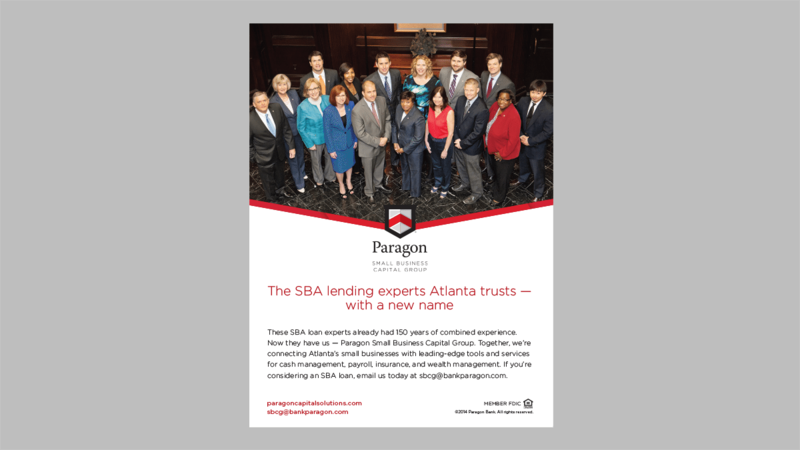 Paragon Bank is a local bank focused on helping people. But regardless of a bank’s accessibility, customers want to know they’re dealing with someone they can trust. To help build that sense of trust, inferno created a powerful logo and branding. 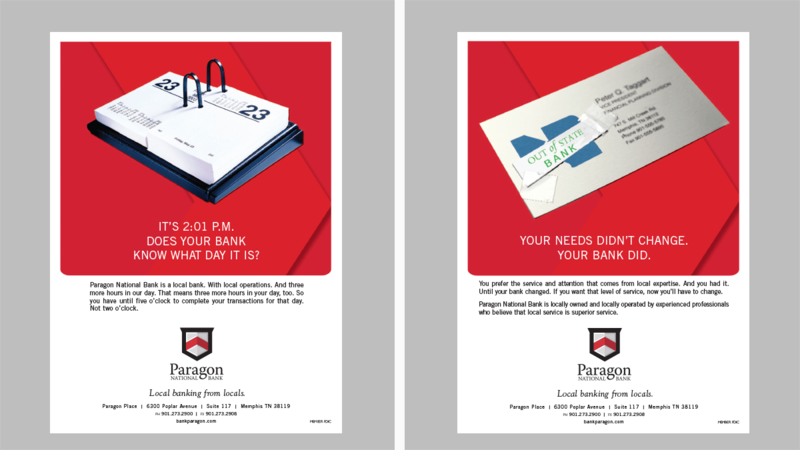 With striking visuals and brash, clever messaging, Paragon shows local-bank care and big-bank reliability. 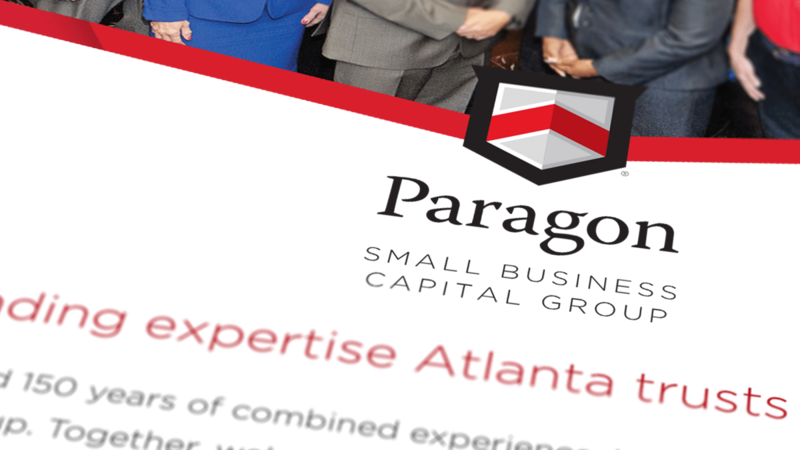 To help launch a new Paragon branch, inferno developed a logo for the Paragon Small Business Capital Group that fit within the larger Paragon brand. 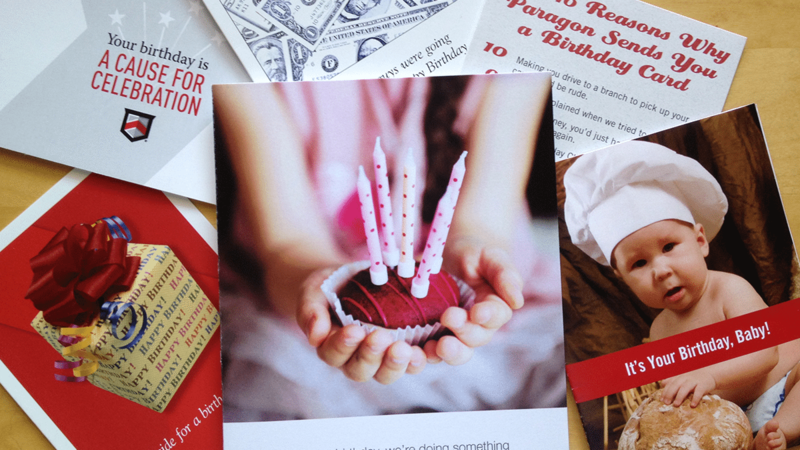 We also developed ads that allowed their new community to get to know the people who’d be serving them. Getting a small business off the ground is often an uphill battle. 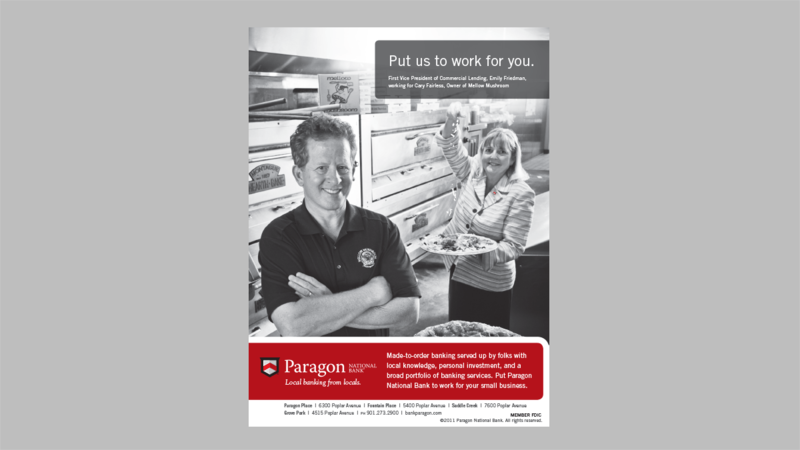 And to help Paragon Bank connect with those struggling business owners, we created ads that highlight the people behind the bank – not a faceless group with strict guidelines, but caring experts who want to help people pursue their passions. 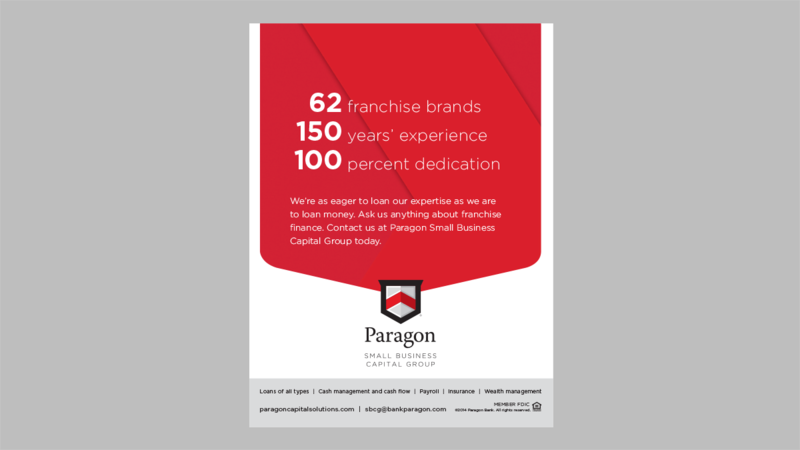 Our radio campaign for Paragon positions them against big banks by highlighting the local roots and customer care that define their brand. A locally owned bank dedicated to small-town values is in a war with the banking empire. 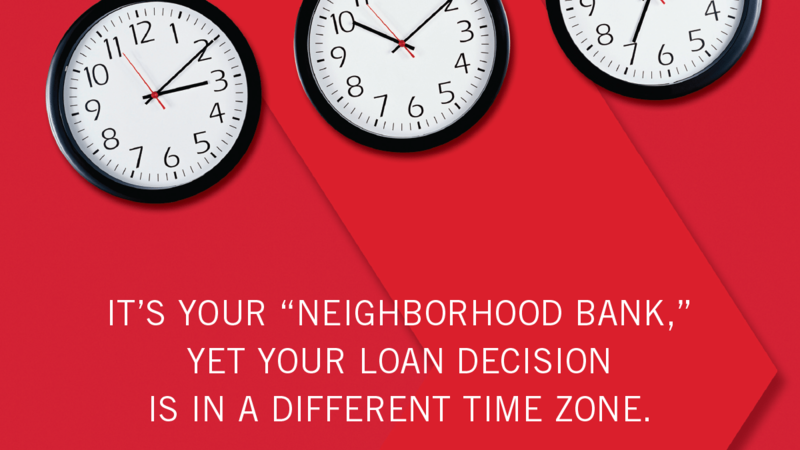 What’s a customer to do when local banking isn’t local any more? Customer service isn’t a thing of the past when you think local. 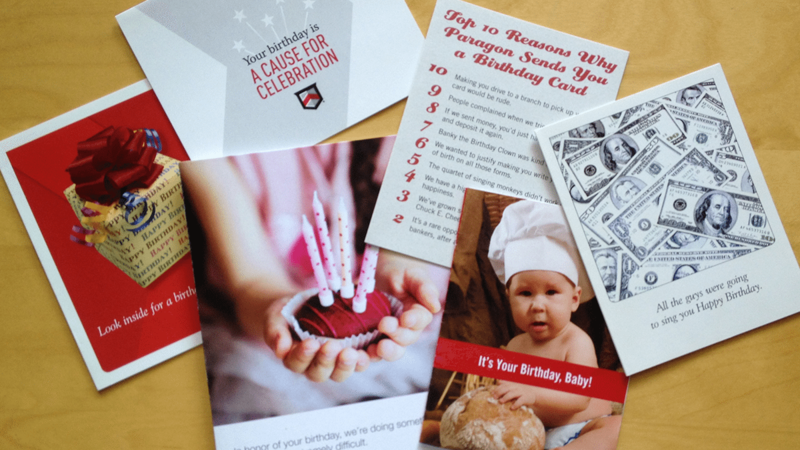 One of the best parts of knowing your customers is being able to celebrate milestones with them. 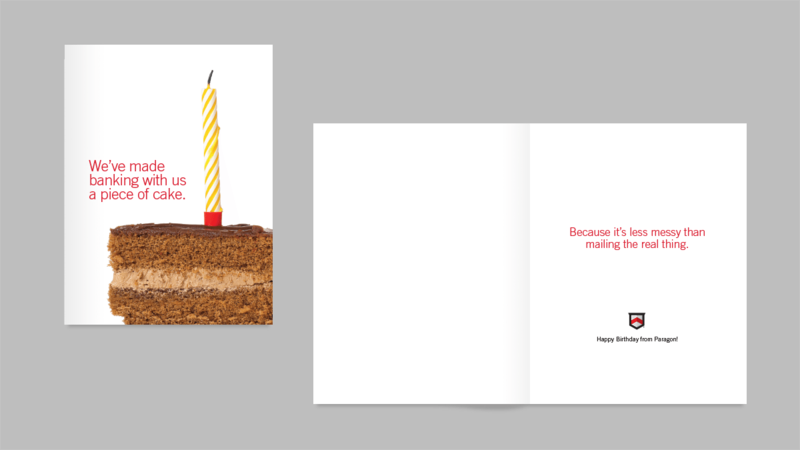 For years, inferno has created fun, memorable cards to help Paragon provide a personal touch to their business by reaching out to wish customers a happy birthday.